This section describes how to download Ethereum Mist for Windows. Ethereum Mist is a Standalone Full-Node Wallet for Windows computers. It stores the digital credentials for your Ethereum account and allows you to receive and send Ethereum funds. It also maintains a complete set of Ethereum blockchain data locally and runs as a node on the Ethereum network. 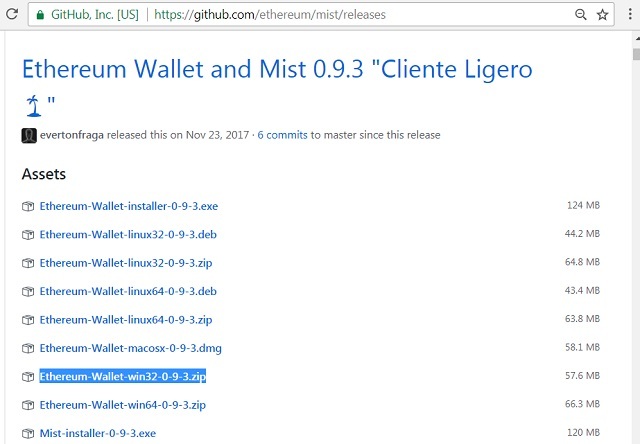 Click "Ethereum-Wallet-win32-0-9-3.zip" to download Ethereum Mist.